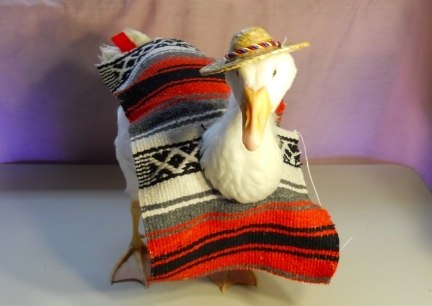 MY GOOSE, DINAH, IS NOT WEARING THE HAT FOR SALE. 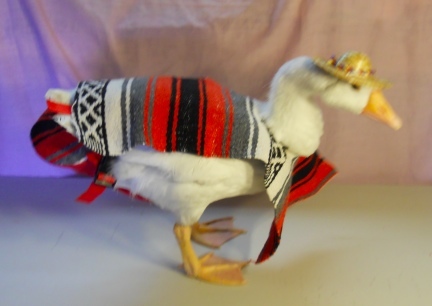 I MADE HER'S FIRST AND THOUGHT IT WAS CUTE ENOUGH THAT OTHERS MIGHT WANT THEM FOR THEIR OWN GEESE OR GOOSE TO WEAR! 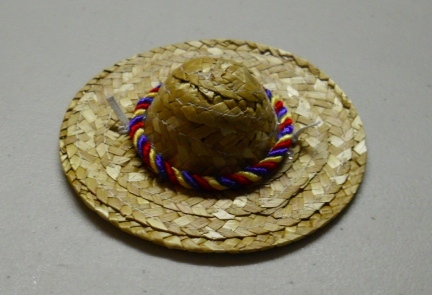 The Sombrero for sale has never been worn, it is brand new.